I’ve tried many different EDA packages–almost all of the ones on the market, although I haven’t had much time with several. My personal favorite is Altium Designer DXP. Anyone else have a favorite EDA program? Why? I think the most important part of the EDA software is probably the circuit verification & simulation, and the PCB layout. The schematic editor doesn’t need to be too featureful to get the job done, but a good PCB design program with proper verification is invaluable and hard to find in free or open-source programs. One of the biggest problems with EDA software is file format interoperability. Every program has its own damn binary format, and its almost impossible to convert between 2 formats without a lot of pain and at least some data loss (as well as weird quirks like odd design rules, odd part names, non-grid layout coordinates, etc). The worst is trying to salvage old designs from old formats of long-gone EDA software. I’d love to see an open source reverse engineering effort for the widely-used EDA data formats. I’m also very interested in circuit reverse engineering (for fun, not for profit). I know of only 2 programs that boast having helpful features in this area: Intercept’s Palindrome (never tried it, though I’d love to), and another older one that just supports scanning a PCB. Anyone know of any circuit reverse engineering resources, programs, communities, wikis, etc? Additionally, jumping from basic circuit design to PCB layout/design seems to be very hard. 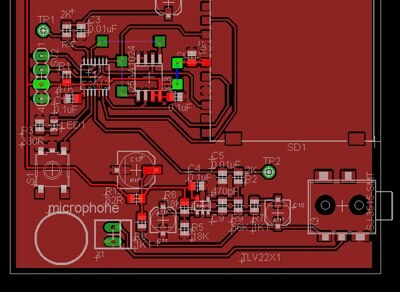 There are not many detailed resources (free or not) available to help a new PCB designer get started with more complicated projects. Unfortunately a lot of the “little tricks” of PCB design are learned through trial and error, and lots of time spent on PCB layout. Does anyone know of such a guide, community, wiki, etc? i agree that altium dxp is incredibly well made.. i used my fair share of eda suites and dxp comes out as the one that fits me the best.. its closest competitor in terms of usability and ease of maintaining your project was the cadence toolkit for me.. however, cadence reminds me of the old atari graphics and although I am a guy who seeks productivity from his computer, I shamefully concede that I like to design with DX10 and PCB3D in altium..
i can’t see any other way to reverse engineer a pcb.. you must disassemble it.. and when you are left with the bare pcb, the scanning option speeds things up.. i don’t think there would be any other way to rebuild a pcb design more efficiently..
as for layout tips, i would really appreciate if people would share their experiences.. make a list of do’s and dont’s here maybe? provide a link to an article? suggest a book? Anyone also have any tips for turning those pcb designs into actual pcbs? What is everyones experience with using different methods (from cncs to just sending the design out to a company)? your pcb designs need to be thoroughly prototyped first.. whereever in the world you live, whatever the proximity of a pcb facility to you, getting them done professionally will take time.. with techniques like press-and-peel (pnp), diy exposure tanks, cnc milling. etc. you will get your boards ready to test in no time.. the thing with those is, they are never really reliable, copper won’t be etched off in places usually and you’ll need to manually scrape them off and whatnot.. and they will probably oxidize in 3-4 days and the faults will be really hard to spot from then on..
so my take is, produce low quality boards at home and debug them.. when you are confident with your design, get those gerber files and send them to a fab.. cnc milling is another alternative for tapeout but i’ve heard that circuits produced like that are not as durable as those done with chemicals and silkscreening..
I’m a fan of KiCad, although it’s lacking in some areas it’s not to hard to get to grips with. Also it’s works on linux, windows and mac OSX and is open source. I think with a bit more development it could easily replace eagle amongst diy-ers, purley on the basis that it’s free and dosen’t include any annoying limitations like eagle does. I’m working mainly with Eagle, even if I would like to change to an open-source EDA. Is it true that Kicad works on mac os x? Until now I never found a working version of it. I tried to compile but it didn’t work. the cheapest PCB house that i know of is batchpcb.com Its run by the guys at sparkfun. $2.50 a sq ft and a minimum qty of 1. They just charge $10 setup fee per board. The drawback is it takes a long time. But if your willing to wait its worth it. I don’t know of any cheaper board house. I got a board comming soon. They use and recommend eagle over there so thats why I use it and thats why I reccomend it to others. I’ve used Eagle exclusively for the last couple of years, and I do like the new interface. It was a lot of hunting and clicking before, because I don’t use it quite often enough to remember all of the keyboard commands. I also like having the same software in Linux and in Windows, since I have to use both in the course of the average day. I’ve had good luck with Sunstone / ExpressPCB, and with APCircuits using Eagle CAM outputs. I’d like to try the batchpcb service, but I’m usually in too much of a hurry and the company pays for it anyway. I do mostly surface mount prototyping, down to wee MLF packages, so home etching and most of the homebuilt CNC stuff is a bit out of range. Plated through-holes for vias are a pain with homebuilt stuff, too. With fewer through-hole options coming out, I think that either CNC pcb milling is going to have to get more accurate, or just get used to sending out for boards. @ #3 — I personally check over things as much as I can. when I’m very sure of my design, I order a prototype PCB with minimal features (fast, cheap, no silkscreen, etc) and debug traces in key spots. This way, any overlooked bugs can be fixed with wire jumpers & trace cutting. Generally it takes debugging on 1 prototype before I’m ready to do a production run. I do it this way because I don’t have the time or facilities for etching or milling my own PCBs. Larger projects may require a couple of prototype boards before you work out all the bugs, so make sure you put in lots of debug traces and extra SMT pads to attach jumper wires to! #4: you can keep your boards from oxidizing by tinning the copper traces. i dunk my boards in “liquid tin”, a chemical product sold by mg chemicals, and it works great. I use eagle. Multiplatform and reasonably priced. I use it for non-trivial designs too (8-layer, components on both sides, blind/buried vias, complex outline shape, you name it) — it’s fully, fully scriptable, which is the #1 feature, IMO. Multiplatform is #2 feature. It’s got its quirks, but each EDA does. The only EDA I liked more than this one (and I’ve tried a bunch, from free to super expensive) was OrCAD/386. Yep, the old DOS one. Can anyone advise if we can do some minor layout edits to clean up “cuts & jumpers” from Eagle 5 into Cadence, open files, read files, manipulate the files for artwork clean up, and save back to Eagle 5?